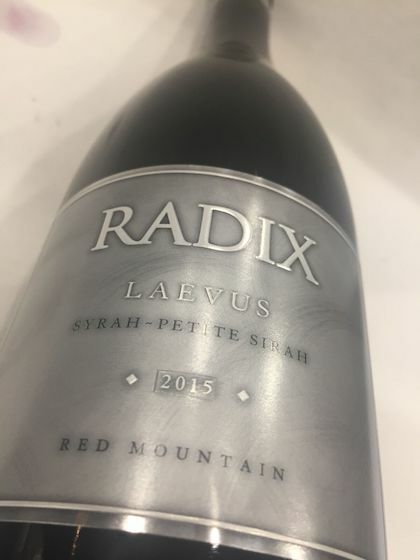 Columbia Valley endocrinologist Marco De Santis launched his brand in Richland, Wash., named it after the Latin word for “root,” and hired one of the state’s biggest talents with red wine – Joshua Maloney – to create this delicious Rhone-influenced blend. Both the Syrah and Petite Sirah (31%) were pulled from young Red Heaven Vineyard in the heart of Red Mountain, and the co-fermented wine shows its pedigree of 21 months in 24% new French oak. There’s true to varietal expression of Syrah with blueberry and clove, joined by a supporting background of blackberry and raisin from the PS, capped with white pepper on the finish. This merited a gold medal at the 2018 Cascadia International Wine Competition.